I know you liked the last episode of Banana Split, especially the last part where the boys and girls were blindfolded, girls at the back of the boys trying to spoon the Banana Split desert with one hand held by the boy's armpits. From what I have seen, I think that's very exciting. Partners were John Pratts with Cristine Reyes, RR Enriquez with Zanjoe Marudo and Angelica Panganiban with Jason Gainza. 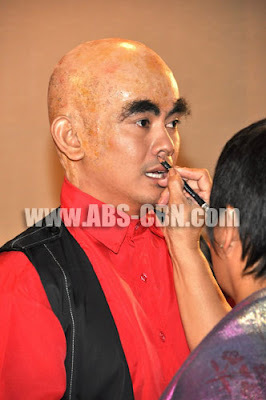 If you weren't able to watch Banana Split's episode last Saturday, here are more photos of the said gag show.